So much happens in a month that it feels like a lifetime since we were immersed in the B2B Marketing Exchange in Scottsdale… but it was only the end of February. 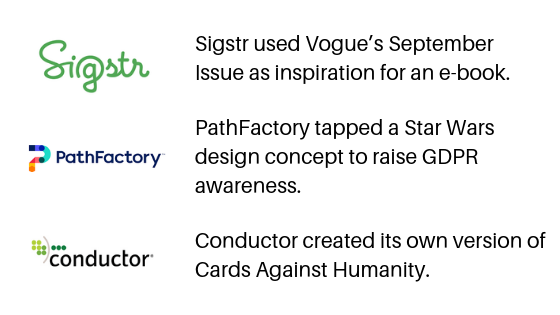 Good thing our expert strategists compiled their top takeaways so that you can keep them top of mind. This just-published interactive Ceros experience is a quick, fun read packed with valuable lessons, tips and inspirational ideas to fuel your marketing efforts for the rest of 2019. I’ll recap them for you here, or you can click directly over to the interactive version for the full experience. 1. Don’t Be Afraid to Be Human. He emphasized that people are hungry for human connections, and businesses need to treat customers as people. 2. Millennials Crave Authentic Communication. Real-time, authentic communication is preferable to perfection. Communicate how they want and where they are (their channels, not yours). Don’t tell them what you do but why you do it. 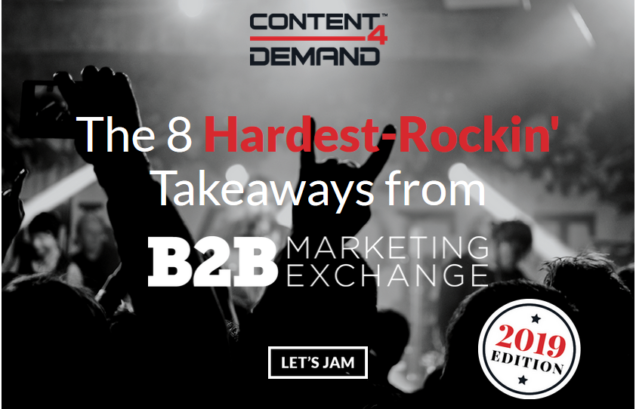 You may think that B2B is no place for cultural references, but many of this year’s Killer Content Award winners prove the contrary. Tying marketing performance to revenue dollars is becoming a must. Rethink which metrics you are using so they speak to executives. 5. Get on the Influencer Wagon. Influencer marketing is hot, but don’t settle for doing the same thing as everyone else. Many options exist. 6. Get the Most Out of New Formats. If the panels on podcasting and blogging proved anything, it’s that these formats can’t be last-minute additions to your content plans. 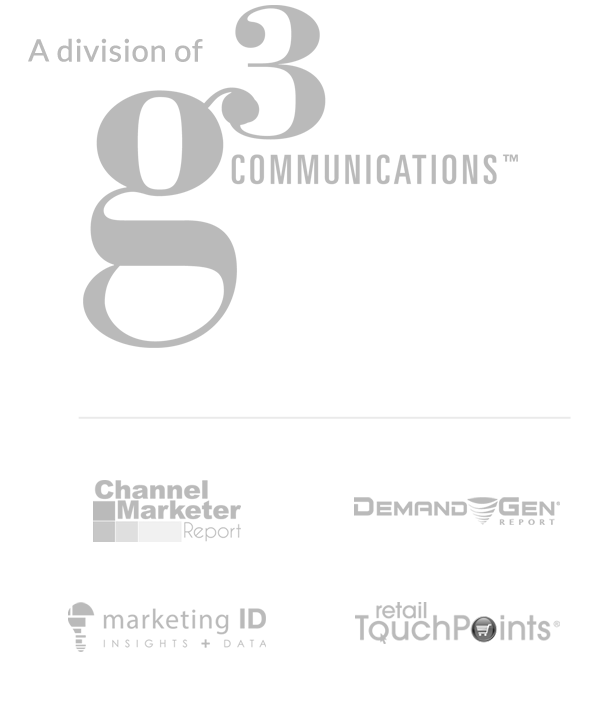 Rather, they must be integrated into your multi-channel, end-to-end content strategy. Bonus Tip #1: Blogging is a great way to test different word counts, editorial styles and even different visuals. Bonus Tip #2: Podcasting can provide a wealth of valuable insights that can be reused and reimagined for different formats, such as e-books, checklists and social posts. Advocates for moderate use of gated content were popping up everywhere as thought leadership (such as influencer content), and it’s providing more valuable than a list of names and email addresses. 8. Make a Calendar, and Mark Your Calendar. 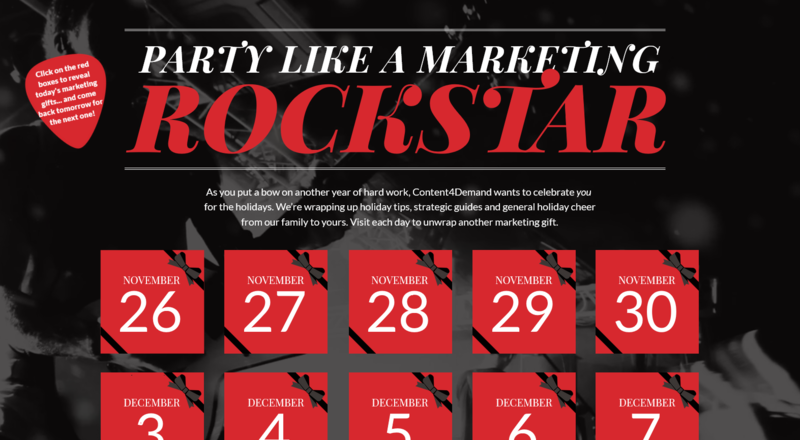 We won a Finny Award for a creative interactive calendar and are sharing some tips. We also can’t wait for next year’s #B2BMX, February 24-26, 2020. We rock! And so can you… See our Interactive Calendar Tips. 9. Put the Spotlight on Fun. Sure, we said there were eight takeaways, but if you read this far, you deserve a bonus. 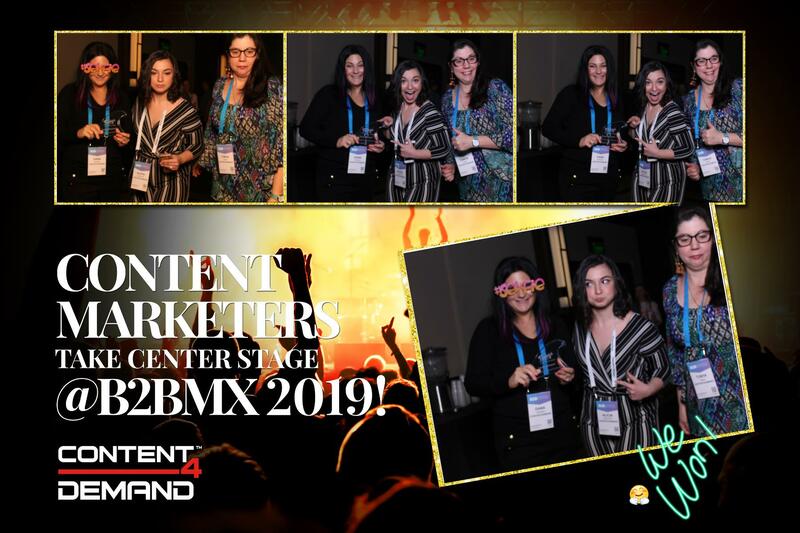 Content4Demand had an absolute blast putting content marketers on stage in our mirrored photo booth. And of course, we did some team-building by taking a few backstage shots of our hard-working team. Did you visit us? Post your B2BMX booth photos in the comments section below! For more vital information to power your planning, be sure to read our recently published 2019 Demand Generation Benchmark Survey.